Running with Zithers........: The Healing Power of Music & Zithers! The Healing Power of Music & Zithers! Nothing brings me more joy than to witness the healing effect of music on individuals through the vehicle of chord zithers and their unique tune-sheets. This week I received the following correspondence from a new zither owner and, with her permission, I'd like to share it with you. 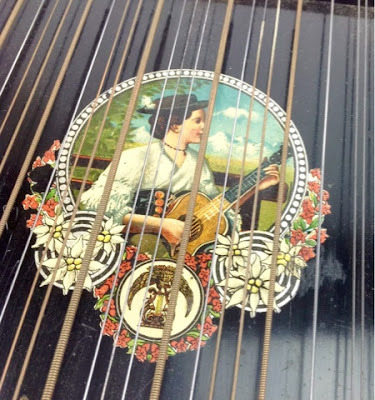 I'm having tremendous fun with the zither, my friend Patricia who has had a stroke years ago and cannot communicate was playing Danny Boy after closely watching me play it a couple of times, she is thrilled too. at the benefit of music for people who have experienced strokes. just took off and played by ear the tunes she remembered before her stroke. My son knows of someone who sang his order when ordering in shops! how many people love zithers.